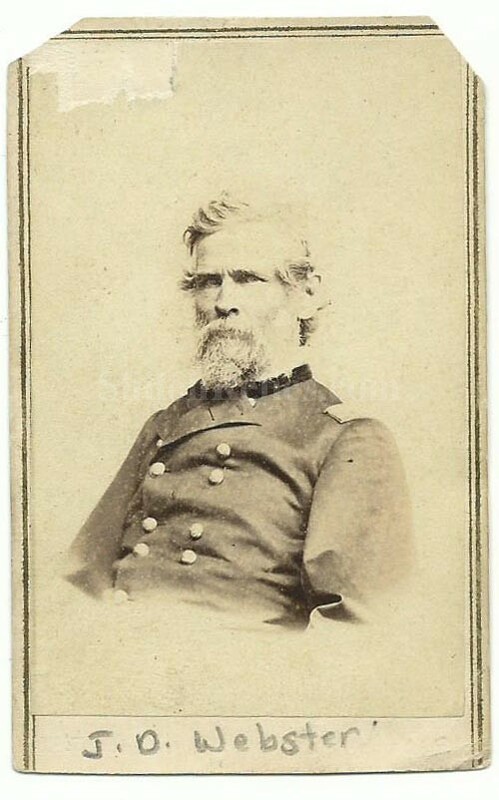 This is a great looking original Civil War era CDV image of Union General Joseph Dana Webster (1811-1876). Webster was born on August 25, 1811 in Hampton, New Hampshire. In 1838. He joined the U.S. Army's Topographical Engineers. He served during the Mexican war and resigned as a Captain in 1854. During the battles of Belmont, Fort Henry, Fort Donelson and Shiloh, he served as Chief of Staff to general Ulysses S Grant. At the battle of Shiloh, he is credited with constructing what would be referred to as "Grant's Last Line. On November 29, 1862, he was commissioned as the rank of Brigadier General. After the Vicksburg campaign, he served as Chief of Staff to general William Tecumseh Sherman. At the end of the war he was brevetted the rank of Major General. These CDV Images were often sold in quantity to people on the home front that wanted to see what the men they read about in the papers looked like. These CDV images were an important part of history from the Civil War era. It was the first practical way to bring images of a famous personality home to the regular people. The people wanted to be able to put a face with the names they read about in the newspapers. You could order through newspaper ads or at local photography studios, several images of famous personalities for a reasonable amount. The CDV images were made by applying a thin paper photo image of the famous person of the day to a heavier paper card. This made the image more durable and easier to display and also added uniformity to the size. The overall size of a CDV image is approximately 2.5 inches by 4 inches in size. 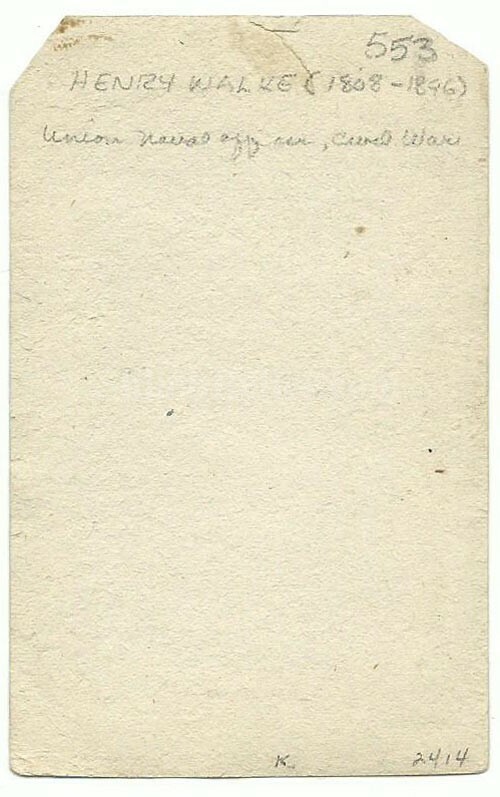 On the back of the card it is unmarked. This is a great looking image of one of the Union Generals.